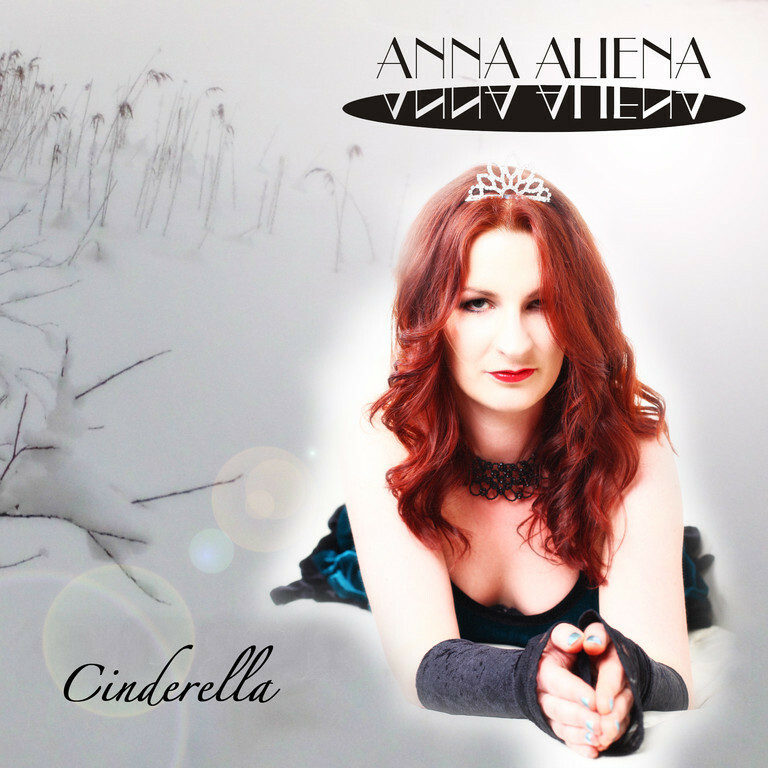 The German singer and songwriter Anna Aliena travelled a long way to produce her second EP Cinderella which was released on August 31, 2012. While she has still mocked about so-called “Silly Little Boys” on her debut EP from 2011, she slips into the role of a seemingly naive Cinderella dreaming of Prince Charming during sleepless city nights. She leaves Berlin to embark on a musical journey to the far north, following the call of a sad boy being imprisoned in his mother’s fortress, the Snow Queen. All the five tracks on Cinderella refer to each other, telling the story of a passionate love in winterland. Anna Aliena has acquired some knowledge of the Finnish language to write the lyrics for this highly emotional EP. At the same time she has also widened her musical horizon: Electronic sounds interfere with a large orchestra of fulminant strings, brass sections and percussion elements topped with catchy theatrical vocals between opera and pop. On “Fairy Tales” Anna Aliena’s words alternate between German, Finnish and English being accompanied by folkloristic instruments and hip hop beats. In the end Cinderella manages to free the boy from the Snow Queen’s frozen castle and all the musical contrasts merge into a harmonic mosaic for the ears. Once again Anna Aliena has dared to cross assumed borders in music without being as sarcastic as she used to be on Silly Little Boys. Now she finally proves that her songs can also appeal to a larger audience without losing her unique style. Those who have never expected a love song from her shall be convinced of the opposite on “Almond Eyes”.